New research from Bloomberg New Energy Finance (BNEF) forecasts massive growth in the energy storage market, first in utilities and then in corporations seeking to reduce their overhead costs. The "Global Energy Storage Forecast, 2016-2024" shows that the annual investment in energy storage systems will increase six-fold to $8.2 billion in 2024. A 1MW and 4MW containerized vanadium flow battery owned by Avista Utilities and manufactured by UniEnergy Technologies that was installed at the Schweitzer Engineering Laboratories, in Pullman, Wash.
Over the same period, about 45 billion watts (81 gigawatt hours/GWh) of energy storage capacity will be installed globally, excluding pumped hydroelectric systems. The top five markets are Japan, India, the United States, Chin, and Europe; they represent 71% of the global total for storage installed in 2024. Between now and 2024, $44 billion will be invested in energy storage systems; that compares to $3.9 trillion that will be invested in power generation capacity over the same period. While the amount of installed energy storage capacity will represent a tiny fraction of the installed generation capacity (i.e. solar, wind, hydroelectric and nuclear), the world's electricity system will look "fundamentally different," according to BNEF Senior Analyst Logan Goldie-Scot. At the moment, 84% of stationary energy storage (i.e., not pumped hydroelectric) is being installed by utilities, Goldie-Scot said. It's common to see utilities installing 30 megawatt (MW) to 50MW storage systems, which are used during peak use hours. By 2021, however, the "behind-the-meter" market for storage capacity, or systems installed in businesses and homes, will become the largest segment, he said. A home with a Tesla Powerwall battery system. The batteries can be installed inside or outside of a home. "What a lot of these companies are looking for now is onsite [electricity] generation. And if they're looking at onsite generation, then energy storage becomes a crucial tool to help increase their rate of onsite energy consumption," Goldie-Scot said. According to research firm IHS, over the next decade, lithium-ion (Li-ion) batteries will become the mainstream energy-storage technology, with more than 80% of global energy storage installations including it by 2025. Half of all energy storage installations will occur behind the meter, driven by self-consumption and back-up needs. Tesla and its development partner Panasonic are leaders in lithium-ion battery production. By 2020, Tesla CEO Elon Musk believes his company's "Gigafactory" outside Reno, Nev. will produce 35 gigawatts (a gigawatt is one billion watts) of battery capacity, with the objective of driving down the per-kilowatt hour (kWh) cost of battery packs by more than 30% through economies of scale. Tesla is offering residential and commercial Li-ion battery systems. In the consumer market, households taking advantage of solar or wind power from rooftop systems or utility-provided clean energy will also see a spike in energy storage systems over the next five years, according to NBEF's report. The typical household using renewable energy today receives about 30% of its overall power from that technology. 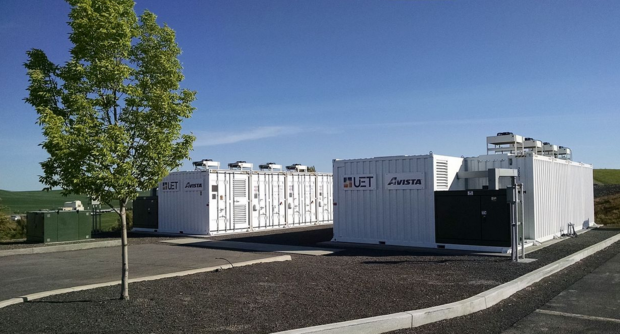 But if an on-site energy storage system, such as a lithium-ion battery, is added, the rate of consumption skyrockets to between 60% to 70%, Goldie-Scot said. That's because most energy in a household is not used during the day when renewable energy systems, such as rooftop solar panels, are generating it; instead, homes use the majority of their power at night when the solar power systems are not at work. For businesses, installing energy storage systems, either lithium-ion or flow battery systems, follows the recent trend of installing onsite energy-generating systems. For example, new U.S. solar power installations this year are set to break all previous records by more than doubling what was installed last year, with 16 billion new watts of photovoltaic (PV) capacity. The total operating solar PV capacity in the U.S. is expected to reach 25.6 gigawatts of direct current (DC) by the end of the year, according to GTM Research's U.S. Solar Market Insight Report. Onsite energy storage can greatly reduce business operating costs by eliminating on-demand electricity charges from utilities. At one time, U.S. electric utilities charged flat rates for electricity, but that has changed over the past 30 years and 16 states, such as Hawaii, New York and California, charge additional fees for electricity use that exceeds pre-set limits during peak hours. Large corporations will often have "demand meters" installed by utilities, which register the highest rate of electrical flow during a billing period. A demand meter records an average flow for every 15-minute interval. The enterprise is billed for the highest average 15-minute flow typically over a monthly billing cycle. So, if an enterprise goes over its typical energy use, that becomes the rate at which they're charged. "It doesn't matter if you only hit that peak demand for a second, your monthly bill is then based on that one second of peak demand," Goldie-Scot. If an enterprise can draw off an energy storage system during peak use hours, it can avoid utility demand charges. According to Goldie-Scot, "hundreds of millions of dollars" are being invested in energy storage companies, such as Stem Inc. and Green Charge Networks, which are building storage systems and managing electrical demand for enterprises. In May, France-based global utility Engie took notice of the trend and acquired Green Charge. "There's an increasing rate of self-consumption from onsite power generation," Goldie-Scot said. "While on-demand charges vary in importance, there's also the issue of power reliability, which leads large companies such as Apple and others to adopt onsite generation and storage. They have a much greater control over electrical supply." This story, "Energy storage capacity spending to increase six-fold by '24" was originally published by Computerworld.